Sadly, work-life balance doesn’t exist for a lot of employed people. Mary Reynolds Kane, writer for the Professional Convention Management Association, says that “38 percent of employees have missed life events because of bad work-life balance.” We’d wager that that’s a low-ball estimate. The only thing more incredible than what humans are capable of achieving is what humans are not capable of achieving. For example, a (hypothetical) man who has climbed Mount Everest cannot get his anger under control. A single mother who started her own multi-million dollar business can’t lose 20 pounds. A successful doctor is so busy with his practice that his family relationships suffer severely. Surely you can think of similar scenarios. 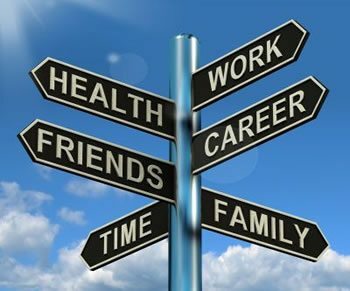 Many individuals who are highly respected professionally are unable to achieve any semblance of a work-life balance. Too often, people mistakenly believe that technology is to blame for this lack of balance. After all, if there were no such thing as email and text messaging, professionals would have less pulling them away from their personal lives, right? No, not necessarily. Although technology has made life harder in some ways, it is not the culprit for the widespread lack of work-life balance. Actually, eLearning technology is the solution to the work-life balance dilemma. Are you surprised to learn that an eLearning platform, also referred to as a social learning management system (LMS), can facilitate work-life balance? If so, it’s only because you are unaware of the ways in which an LMS can simplify someone’s life. At first glance, it may seem as if an eLearning system would add more items to an employee’s daily to-do list, but that’s not the case. An eLearning platform doesn’t tie-up time; it frees it up! It’s not uncommon for employers to shy away from implementing an eLearning platform out of fear that it will disengage their employees. This is an understandable concern. After all, it stands to reason that having to physically attend a training session or meeting, for example, would demand more attention than merely attending online. However, studies have shown that blended learning (which is heavily reliant upon online learning) is more motivating than in-person, traditional learning. Employers who want to motivate their employees and ensure they have a proper work-life balance should consider investing in a learning management system like TOPYX. TOPYX is an award-winning eLearning platform that is utilized by companies like American Farm Bureau Federation, Honeywell, Tupperware, and Interstate Batteries. This full-featured LMS is perfect for associations and nonprofits, businesses, multinationals, and organizations in the healthcare industry and public sector. A lack of balance between career and personal life is a key reason why individuals drop out of college, and may also be a culprit behind high employee turnover rates. Implementing eLearning technology is an excellent way companies can fortify their employees against burnout and ensure balance in all areas of life.